With flu season right around the corner, you might be wondering what you can do to keep yourself as healthy as possible when everyone around you is coming down with the sniffles, chills and a sore throat. Maybe you’ve stepped up your dieting game and make sure to eat fruits and vegetables for plenty of immune system-boosting nutrients, or maybe you’ve just stopped shaking hands with people when you know they’ve been around somebody sick. Whatever the reason, caution is never a bad strategy when influenza is going around. While the flu is certainly strong enough to keep you home from work for a week, if you’re out of infancy and not yet old enough to qualify for senior discounts, you don’t have to fret too much about the flu causing long-term health issues. However, there are two groups that need special attention come flu season: the very young and the very old. If you have infants or toddlers in your family or you look after your parents, you might have heard that there are more potential health issues that can result from these types of people contracting the flu. While your maternal or paternal instincts might cause you to panic, don’t worry – CareWell’s urgent care centers have the knowledge and expertise to help you protect the youngest and oldest members of your family from the flu this season. It’s completely natural for parents to think that their little children are nothing but perfect. 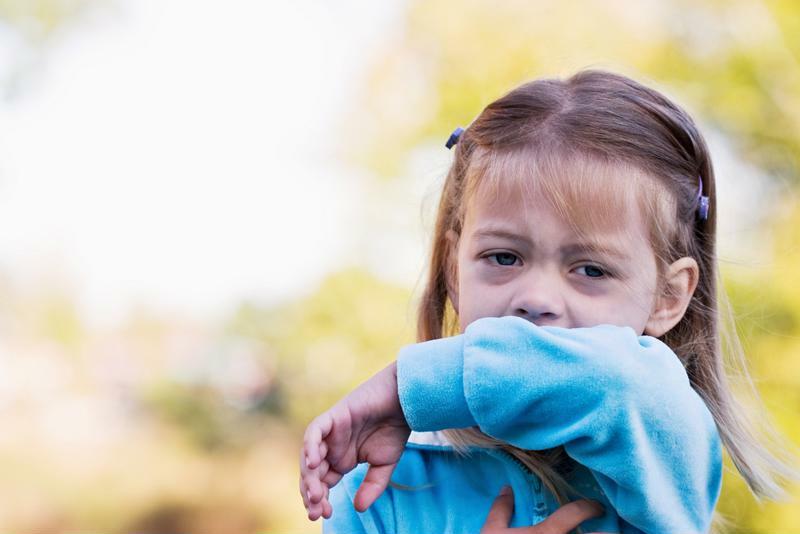 However, if you have toddlers less than 5 years old and especially infants less than 2 years old, there are some things about their developing bodies that aren’t quite up to snuff yet to battle the flu as effectively as necessary. Just like their physical bodies, the immune systems of very young children are still developing well into their adolescence. This doesn’t mean that your special guys or girls are defenseless against any and all germs out there, but they may not have the strength of immunological defenses that you have. If they come into contact with the flu virus, your kids’ underdeveloped immune systems may not have the power to fight it off. According to statistics from the U.S. Centers for Disease Control and Prevention, about 20,000 kids are hospitalized each year for flu-related illnesses. Because the lack of fully formed immune systems makes it harder for children to avoid becoming infected in the first place, this also means that they’ll have a harder time getting healthy. As such, the safest course of action is always to get your kids vaccinated before flu season ever starts, and CareWell can help you get in and out in as little as 15 minutes. Once the first sneeze comes, it might be too late for a vaccination. While you might naturally be incredibly concerned about the health of your youngest children during flu season, you also shouldn’t forget about the oldest members of your family. In some cases, the elderly are even more susceptible to serious flu-related complications if they’re not vaccinated. It doesn’t take an expert to realize that coughing is a major symptom of someone with the flu. However, coughing is actually a natural bodily reaction to excess buildup in your respiratory tract, meaning that your body is trying to clear itself of phlegm and other materials. Unfortunately, the cough and gag reflexes that induce a coughing fit become more suppressed as you age. This means that even though an elderly person with the flu has a blocked respiratory tract, he or she might not even feel it. Why is this so dangerous? First, excess buildup in the respiratory tract often leads to other illnesses like pneumonia. Secondly, elderly people also have weakened immune systems that have trouble fighting off the flu on their own and make little progress against other serious complications. The general cutoff for elderly at serious risk is about 65 years old, but this should only be taken as an estimate. Whether the patients in question are fresh-faced toddlers or wizened retirees, getting them vaccinated at least a few weeks ahead of flu season is the safest option. No one likes going to the doctor’s office no matter their age, though, which is why a quick, easy and affordable trip to one of CareWell’s urgent care centers can save you time, money and the trouble of playing nurse for your youngest and oldest family members.